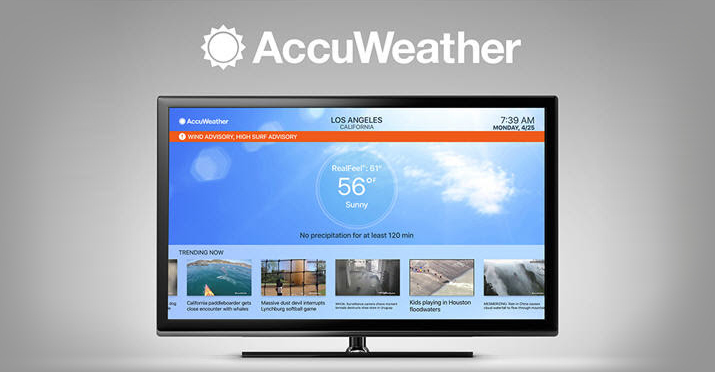 AccuWeather has launched an all-new app for Apple TV, expanding their footprint. Apple TV users can now zoom in and out on radar conditions locally or anywhere in the world, along with viewing detailed forecasts with MinuteCast minute-by-minute details. AccuWeather is the only app in the weather category to offer expanded language support on Apple TV, meeting localization needs with 100+ languages and dialects. The app also provides real-time global severe weather alerts and warnings for Apple TV users. The AccuWeather app for Apple TV is available for download at the App Store for Apple TV.